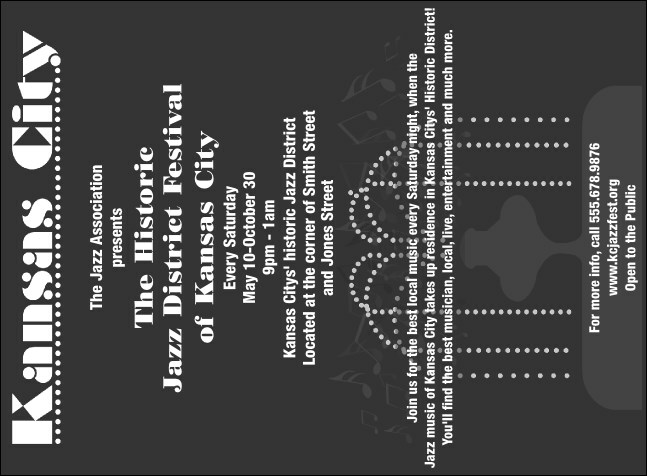 Get into the mainstream with a Black and White Kansas City Invitation. Spotlight your event, promotion, or announcement will get much attention! Need more pizzazz? Look for Kansas City in high definition color! Let TickerPrinting.com help you plan your next event!